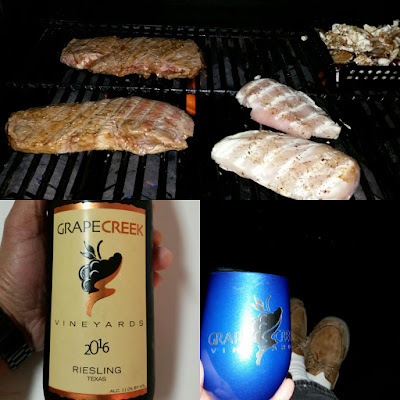 Did some grillin an chillin the other day; opened up another bottle from our Grapecreek Vineyard Wine Club offering. This one is a tasty Riesling. Both Winos give this one a Good Rating. Will purchase again!